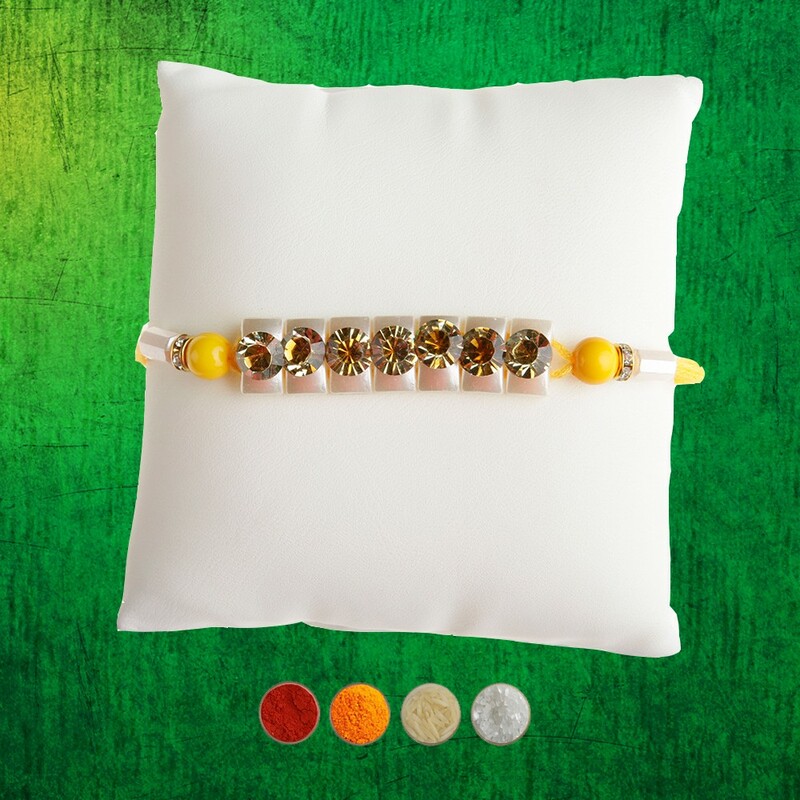 This is a beautiful collection of 4 beautiful rakhis; and would be a perfect rakhi option for you if you are looking for rakhis for your four brothers. 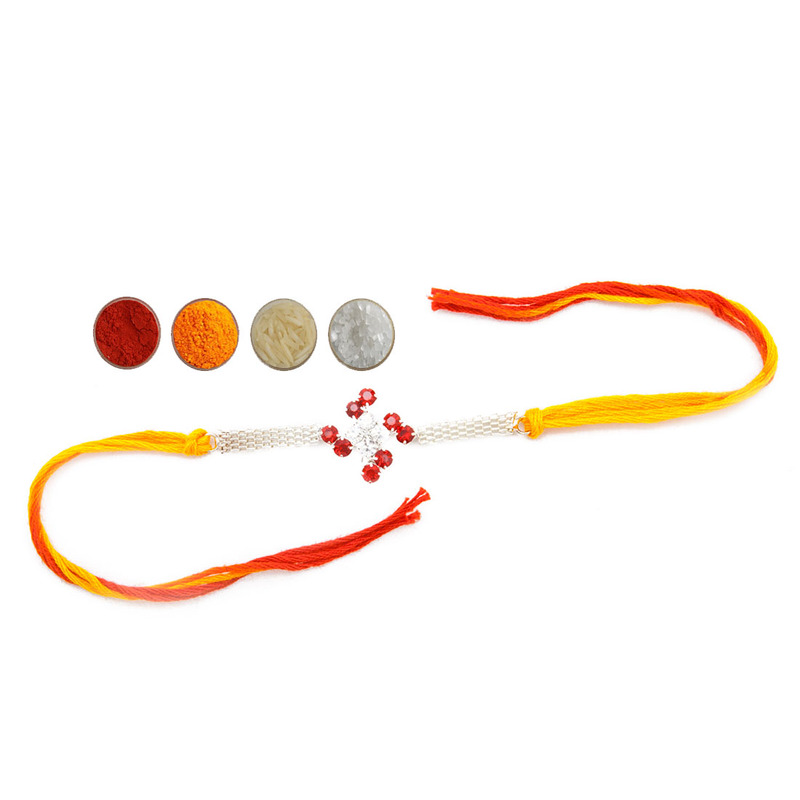 In this set there are 2 kids rakhis and 2 rakhis for elder brothers. 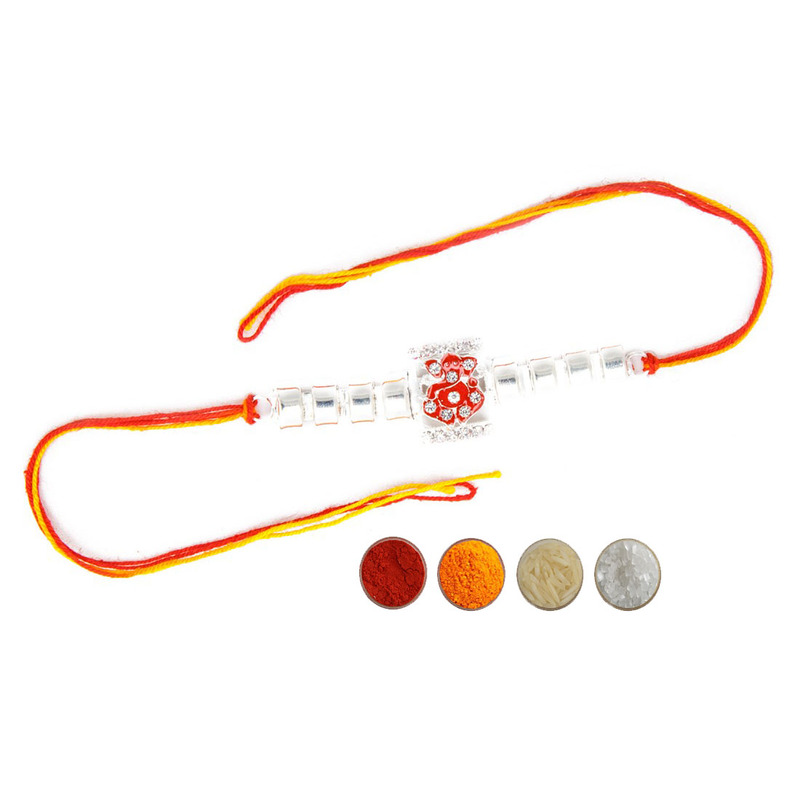 The first from the above is a kid�s rakhi which has the motif of kids� favorite cartoon character Bal Hanuman and Natkhat Krishna. The second one is for elder brother which is a jeweled rakhi designed with golden threads, golden beads and white pearls. The third rakhi is also for elder brother which is a jeweled rakhi studded with premium stones like american diamonds and green & red kundan. 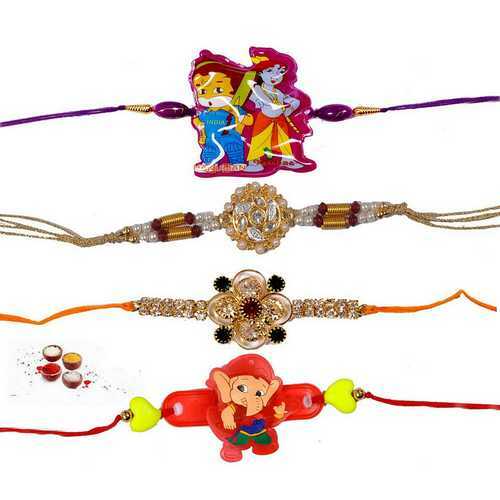 The third rakhi is for kids which has the motif of kids� favorite cartoon character Bal Ganesha playing guitar. 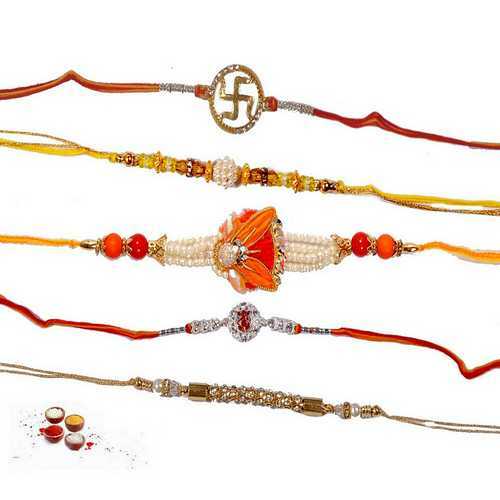 Convey your love and wishes to your brothers with these beautiful rakhis. 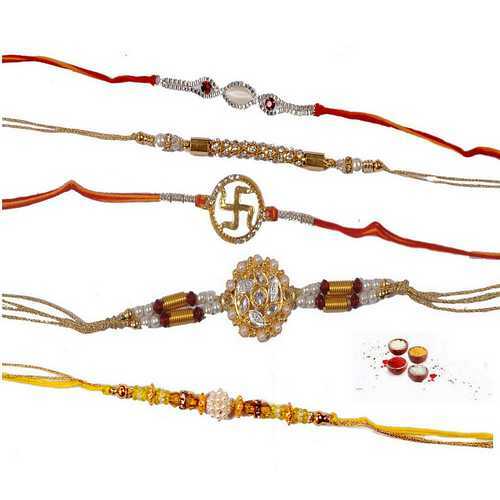 Buy these rakhis online and send to your brothers anywhere in India with free shipping. We are offering these rakhis with complimentary Roli, Chawal, Chandan and Mishri in very attractive pack.